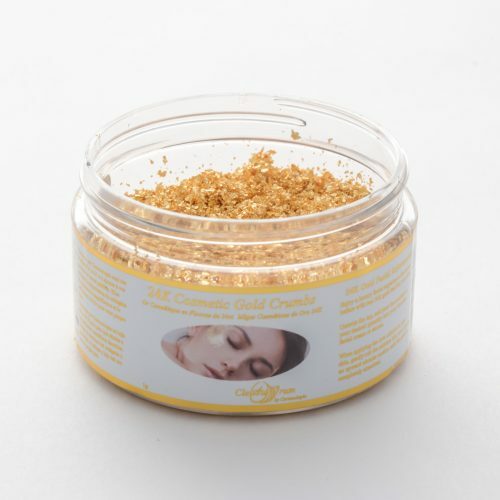 24K Edible Gold Crumbs - CornucAupia Gold Leaf Manufacturing, Inc. 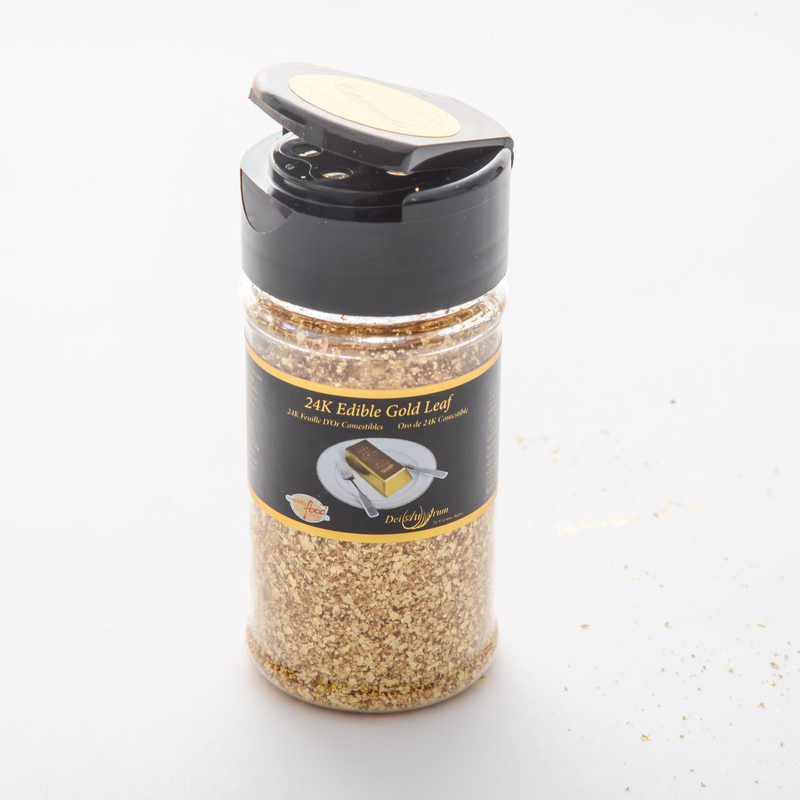 Pure 24 karat edible gold crumbs are the easiest way to finalize any presentation. Use as often and as much as possible. 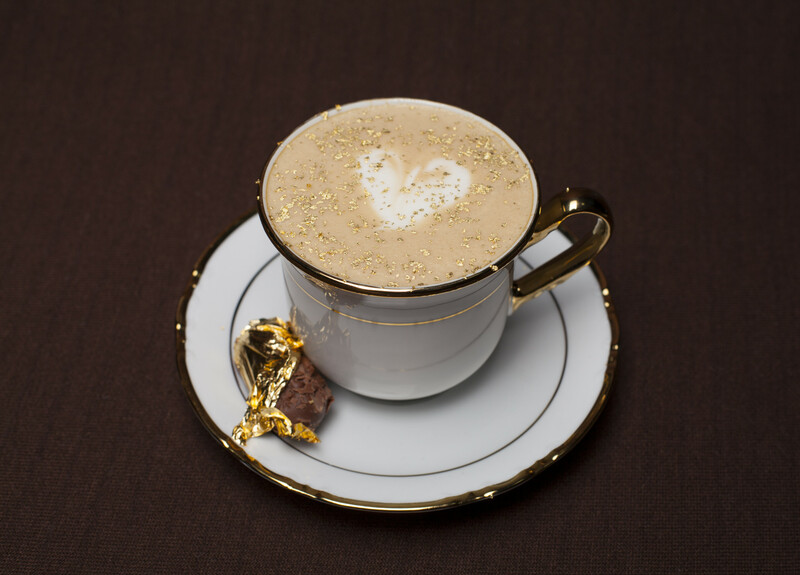 24K gold crumbs are designed to shine and sparkle from all angles, creating beautiful contrast and appeal to food & beverage surfaces. 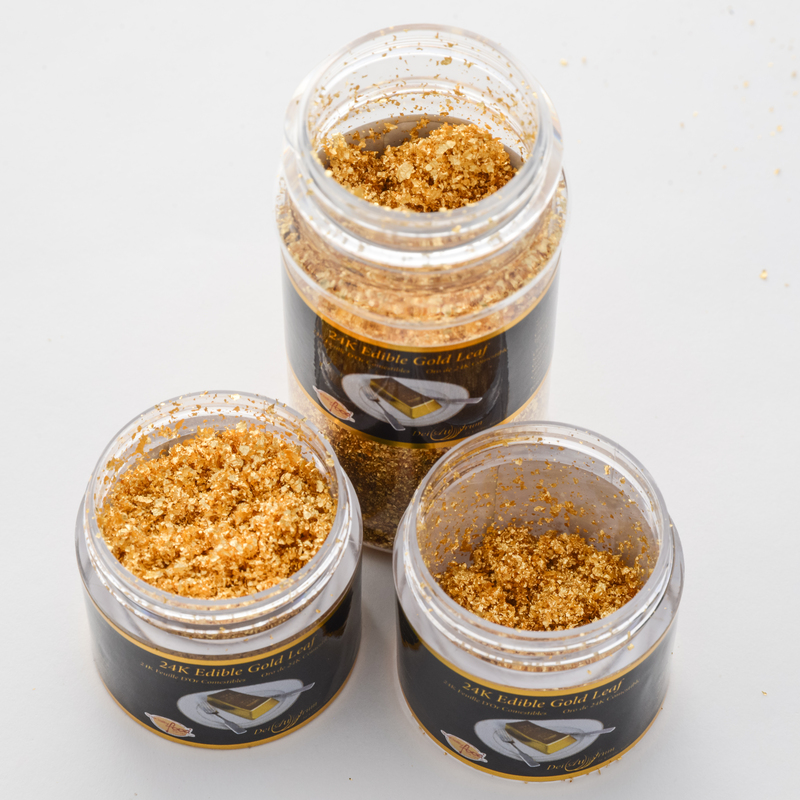 The CornucAupia brand 24K Edible Gold Leaf Crumbs make a perfect garnish or decoration for any edible creation. 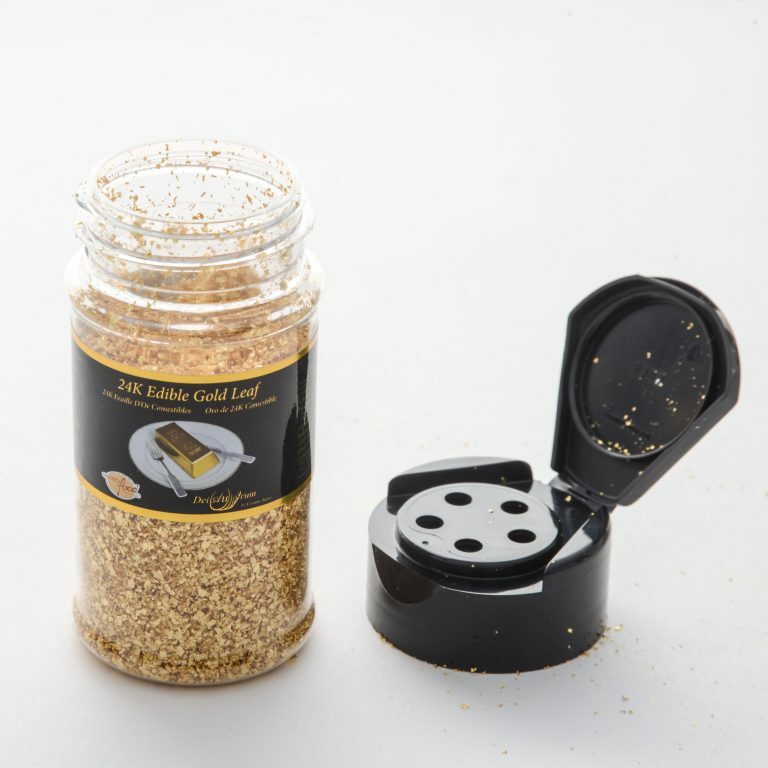 The medium size of the crumbs makes them very versatile to use while making a grand presentation. 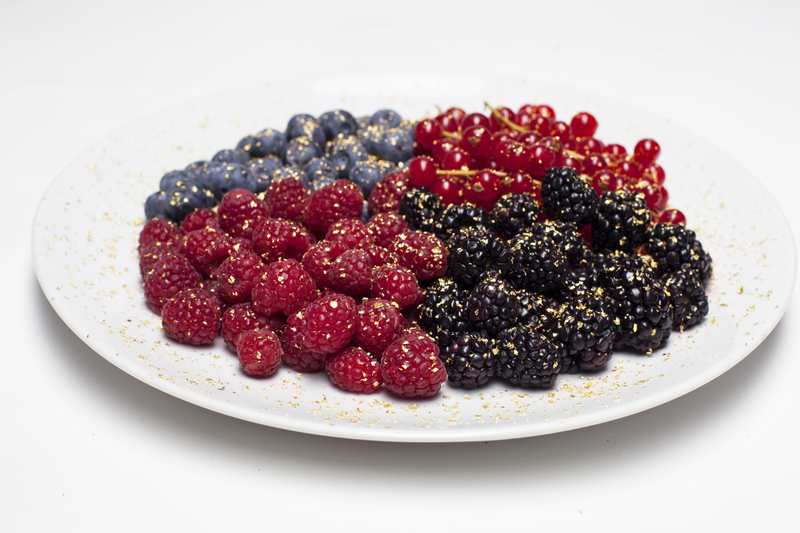 Edible gold leaf makes a perfect edible cake topper, or edible sprinkles for any dessert or pastry. Add magic to any meal or drink by garnishing it with real 24K gold. 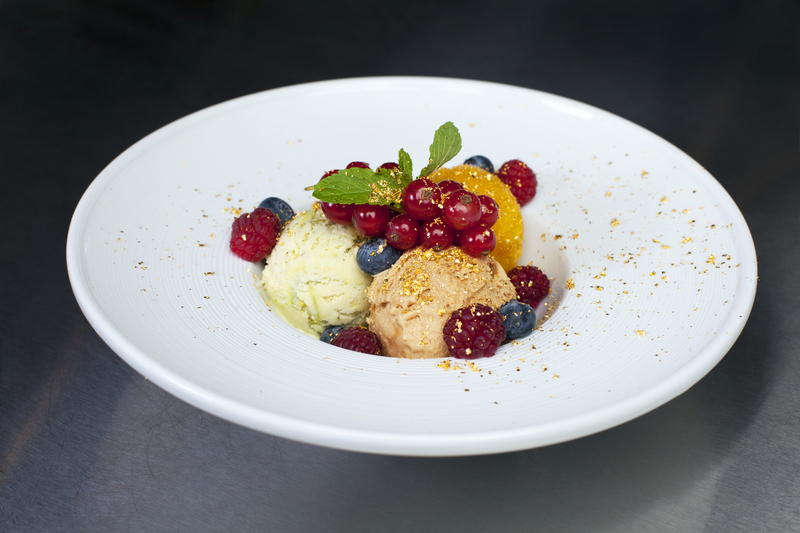 A luxury culinary ingredient brought to you for use in any edible creation you like. Experience the luxury of 24K gold leaf and the magic it brings with it. Impress your family and friends, or customers and associates, and leave them in awe. Give a truly unforgettable experience. 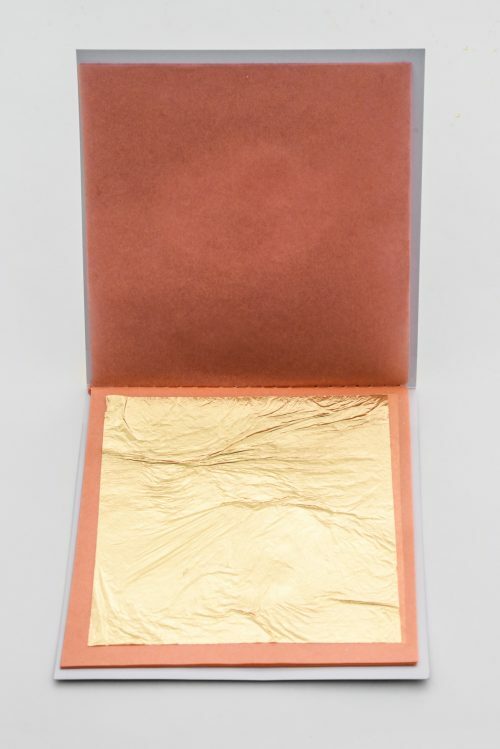 Our 24K Edible Gold Leaf products sold under the CornucAupia brand name are 3-4 nanometres thin. Gold has no taste, does not tarnish or expire, and does not react inside the body, making it perfectly safe for oral consumption. 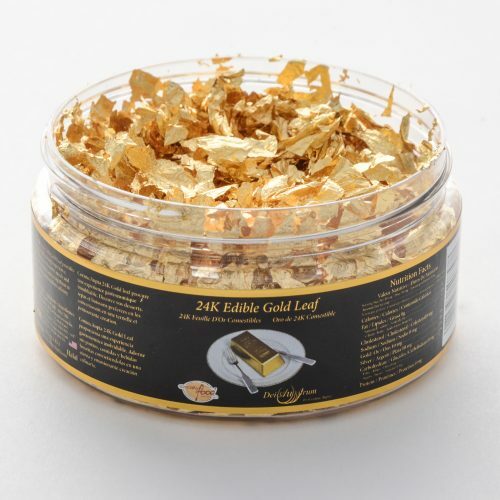 CornucAupia Gold Leaf Manufacturing, Inc. offers healthy and safe products at competitive prices. 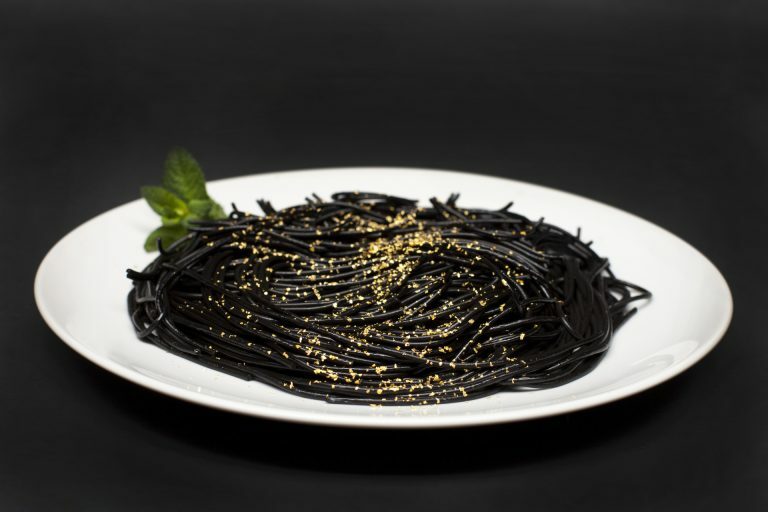 Manufactured by us in Florida, CornucAupia 24K Edible Gold and Pure Edible Silver products are considered a food colouring and additive, approved under the European E-175 standard. We are FDA registered, and ISO Food Lab Certified. CornucAupia products are Kosher and Halal. We are members of the National Association for Catering and Events (NACE), the Specialty Food Association, and are members of other professional organizations in this field. Caution: Open container carefully, contents are sensitive to breeze. Do not consume more than 15mg per day. Gold leaf may be affected by static. Store this product in a dry area. Do not microwave. Do not inhale.